I love taking portraits of people. There’s nothing like that feeling you get when someone see a print of their portrait for the first time. The big smile, the sparkle in the eye. Whatever inhibition or shyness they have disappears when they see a beautiful portrait of themselves. These are a selection of portraits I have taken. I have chosen portraits to show a variety of styles that I have pursued. Taking a picture is really easy but taking a portrait that shows the essence of a person requires more than technical knowledge. The most difficult (and on the other hand, the easiest) aspect I find is to get a connection with the person I am taking a portrait of. A portrait is not only an image of a person but is a reflection of who the person is. Reza Ali is a photographer in Malaysia specialising in portrait photography. For Reza Ali Training and Consulting, please click here…. Thanks for coming by. I haven’t written any post in awhile as I focussing on a new personal project. Come read about it below. I also have a new website. Come visit the new Reza Ali ReActivated Website. 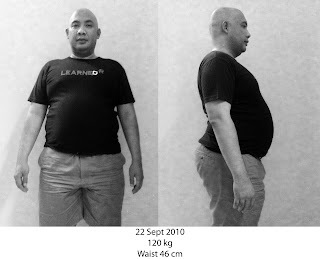 Reza Ali Reactivated tells of the journey of Reza Ali as he embarks on transforming himself from a 120kg (35kg overweight) 46 inch waist unhealthy and unfit person to someone who can compete in a triathlon. Don’t be afraid to dream. Take action. Correct your mistakes. Learn from failures. Bit by bit, you will get closer to your dream. If I Can Do It, So Can You…..
You can also come and support Reza by joining the Reza Ali ReActivated facebook fan page.